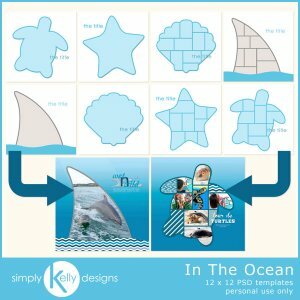 These eight 12x12 PSD templates are perfect for scrapbooking your beach, dolphin, shark, sea shell or sea turtle photos. 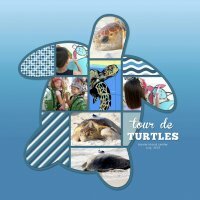 Four templates feature mutliple photos and four templates feature one photo. Adobe Photoshop, Adobe Photoshop Elements or gimp is required to use these templates. 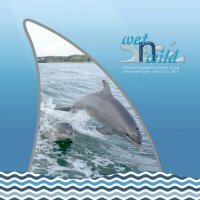 The sample layouts in the preview use my A Whale Of A Day Kit which is not included.